What a fabulous weekend we had! 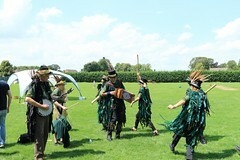 Recently, we attended Chippenham Folk Festival for the very first time. What a fabulous event that was. 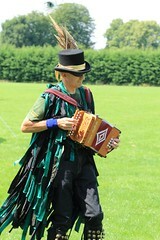 We spent two days dancing at various spots in the town, along with numerous other sides of varying traditions. We also entered the parade. The atmosphere during the whole event was just sparkling… (As were a few of the beverages we consumed… tis traditional after all to dance at ‘watering holes’). 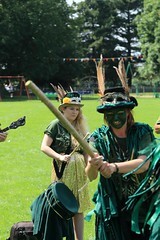 A few photos from the day are shown on our photos at recent events page.